Welcome to another post of our typing blog. 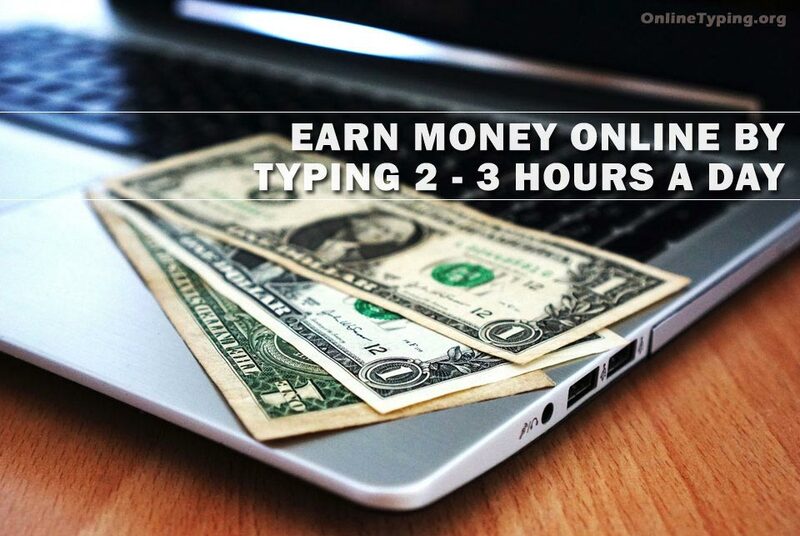 In this article we will discuss on how you could earn money online by typing just 2 - 3 hours a day? Well everyone want to earn some extra money from internet and there are many videos available in youtube that blame with the help of their process you can earn thousands of dollars without making any effort. But you have to understand this simple fact that if you want to earn money either you have to sell any product or provide any service. Writing article is one of the best ways to earn money online. Many of you may heir that some of your friend makes regular money by writing articles. It's true if your writing skill is good enough and you have a great typing speed then you can easily make $1000 a month. The main question is where you can sell your article? There are many websites available where you can sell your article also you can write content of any website and sell. In this article I will show you 5 web portals where you can sell your service. Fiverr is one of the largest freelance services marketplace in the world. Here you can sell anything, I mean almost anything. If you are a good writer then you may earn a lot on this site. You just need to create an account. After creating you can post your service and the price. For fast result you may advertise your gig on fiverr. Freelancer is another great platform to earn money by writing articles. Here you have to create an account to start. After login you may bid on any project and get the job. But it's very important to have good rating to get any job in freelancer. So how you could increase your rating on freelancer? Well it’s a huge topic so we will discuss on this in another article. Indeed is one of the largest online job portal in the world. You can search any typing related job here. Here you can also find your local jobs. If you want to do this job fulltime, indeed is the best option for you. Upwork.com is great to work remotely as a content writer. If you have knowledge on content writing this is one of the best option for you. Like fiverr here you don't need to create any gig and wait for long time, you just need to search project and then bid. Onlinewritingjobs.com is also a good platform to sell your writing skill online. This website blame that they paid $50 per article. Here you need to apply as a freelance writer. Although I want to clarify that I didn't use their service. These are the top 5 sites where you can sell your article. But it is very important to have a clear idea on what you are going to write. Hope this will help you.